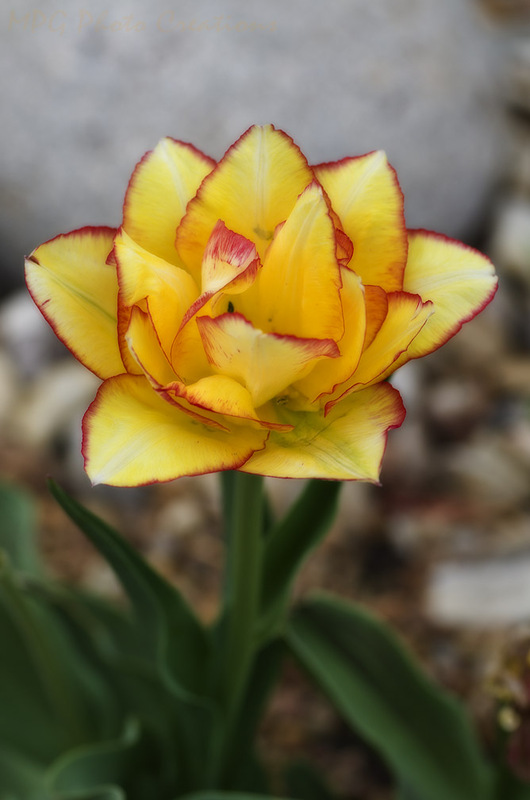 This is a beautiful tulip that some friends of mine have at their house. I had never seen such a perfectly outlined by natural means flower like this. The day was incredibly windy when I was trying to get this image so I was very glad it was in focus too! I need to look for interesting tulip bulbs like these this fall.